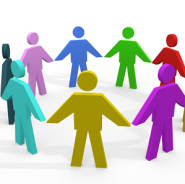 We have an active patient group who meet two or three times annually. It has proved a very useful discussion group and allowed us to consult patients on the services being offered. Supporting the Practice through representation to the government and local bodies. The group is happy to pass on compliments and suggestions but does not deal with complaints or discuss anything relating to any individual patients. The group is always looking for new members to join. If you would like to participate in the group, please give your details to reception.